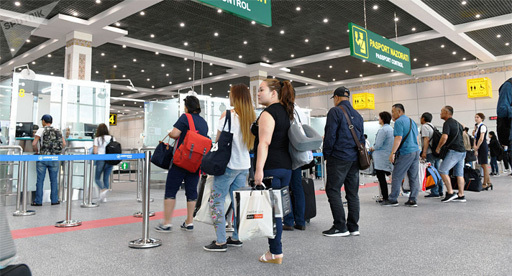 TASHKENT (UzTAG) - In the first half of 2018, the total number of foreign citizens entering Uzbekistan nearly doubled compared to the same period in 2017 and amounted to 2,688, 962 people (an increase of 91.6%). According to the State Committee for Tourism, this is the result of fundamental reforms of the tourism sector. Especially, the number of tourists from countries for whom a visa-free regime was introduced increased significantly. Thus, 31,966 people (+95.6%) entered from Turkey (6,2000, +68.1%), Israel (3,615, + 86.2%), Indonesia (750, more than 300%), Singapore (424, more than 250%). In June, there was an increase in the number of people entering from the Republic of Korea by 57.5% and Malaysia by a factor of 2.6, although there was a slight decline until May 2018.